Lady Saw (born Marion Hall, 12 July 1968, Saint Mary, Jamaica) is a Jamaican reggae singer, known as the queen of dancehall. She is the first female deejay to win a Grammy Award and to be certified as a triple-platinum artist. She is also the first woman to headline dancehall shows outside her native Jamaica. 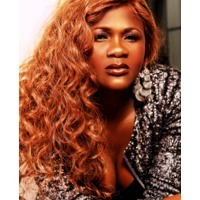 Her new label Divas Records launched in January 2010.